The PR Lawyer: The Value Of A Facebook "Like"
A frequently asked question we get here at Furia Rubel is, “what is the value of a Like on Facebook?” So, I did some research on the benefits of a brand being “Liked” on Facebook and the benefits of “Liking “content that is shared on the social network. The most recent article I found is on Ragan.com and examines a report from ExactTarget called “The Meaning of Like.” Author Kyle Lacy shares some interesting statistics from the report. The first statistic Lacy points out is that only 42 percent of active Facebook users feel that marketers should take a Facebook “Like” to equal brand loyalty. 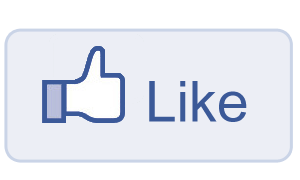 Another finding was 52 percent click a Facebook “Like” button on another site. As Lacey notes, this is why all brands should incorporate onto their sites the easy-to-use Facebook tools for sharing. Lastly, consumers typically see a "Like" of a page on Facebook as a way of bookmarking content and sharing information with friends—not a form of consent for marketing. This is a clear change in thinking in relation to permission based marketing. Users don’t view a “Like” as permission to receive information from the brand on Facebook which is different from email marketing when users opt-in to receive an e-newsletter. A note posted on the Facebook + Media page, called “The Value of a Liker” shared that the average “Liker” has 2.4x the amount of friends than that of a typical Facebook user. These “Likers” also click on 5.3x more links to external sites. As publishers work to identify the best ways to reach a younger, “always on” audience, the note revealed some interesting tips to raise engagement and traffic to your Facebook page. • Create a social plug-in for your website so when users “Like” a news story or article on your website, the plug-in publishes to their personal profile and shares with their network of friends. Facebook + Media page also notes that publishers like ABC News, Gawker and NBA.com have reported results and commented that “people on their sites are more engaged and stay longer when their real identity and real friends are driving the experience through social plug-ins.” To read more, go to: Facebook + Media.